Mitte Realty » Blog Archive » Real Estate: Art Or Work ? Real Estate: Art Or Work ? by Brianna - September 24th, 2018. Real estate for most of us – is the most valuable material asset. Therefore, when dealing with real estate the most important thing – to protect themselves from fraudsters who try to "make hay" on someone else's property. Some time ago, many have tried to conduct real estate transactions on their own, most do not trust estate agents, nor, especially, the private intermediaries. Rumors of a "black" realtors, reminiscent of children's "Horror", only worsened the image of bona fide real estate agencies. Now the market for real estate services is changing for the better. The market is becoming more civilized, professional community creates certain rules and standards of customer service, guarantee the purity of transactions. 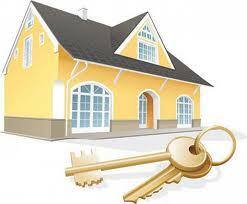 And most people have come to realize that resorting to real estate agency founded. First, it saves time. Second, it will use legal and other opportunities for the company, which will thoroughly check the objects of sale and, if desired, even provide physical security in the transaction and settlement. Our city already has all the conditions for the further development of the market civilization, and, most importantly, the basis for this – serious competition. Competition stimulates market participants to raise the quality standards of their work, improve technology and increased advertising costs. But, as a specialist in real estate services of a large company, not just convinced that the positive personal customer feedback is more important than an expensive advertisement in the "hyped" media. Since every employee of our company "to mean" we carefully monitor their reputation. Only with good working client will recommend a good realtor to their friends. Of Realtors "transfer" to each other Recommendations from friends and relatives, as a good doctor or psychologist. And this is justified because being a professional real estate agent – is not just a job, but also partly an art.